MOTORFEST Week-end is Back! 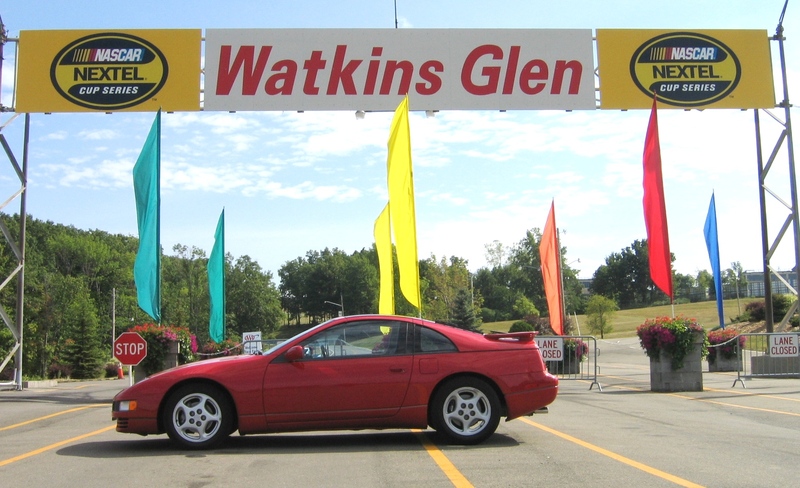 Saturday July 7th we have “the Glen” reserved for group laps at Noon, preceded by a brisk jaunt down Finger Lakes roads to our destination, Watkins Glen International. Instructions at 8am, departure from the Webster Shriners Damascus Center is at 8:30am. Pre-registration is required, space is limited. Sunday July 8th it’s show-day at the Shriners Damascus Center, 979 Bay Road, Webster, NY 14580. Registration opens at 9am, trophies awarded at 3pm. It’s the 11th Anniversary year for the open classes show, featuring all vehicles domestic & foreign … if it’s motorized it may be eligible. Featuring Monster Hots, ice cream also a DJ livening things up. All proceeds raised at the show go 100% to a deserving local charity. Trophies galore once again for 2018 … Drivers vote for Top Tier awards. There’s trophies for the top 5 vehicles in each class (Asian, Euro, Domestic, Built not Bought, 50+YrOld) & more to be announced. Ask for the special “Z Car Club” $129/evening rate, available for the evenings of 7/6 & 7/7. It’s Z season in the NorthEast! Drive it! Click on the following link to check out pics of ZCCR’s 2016 MotorFest. More images will be added soon. Thanks to all who attended and supported our show! Don’t forget to check the ZCCR club calendar for updates. Your club is working on adding events to make the “non-driving” season of winter a little more enjoyable! * ON SUNDAY OCTOBER 18 is a long standing ZCCR tradition: our annual FALL FOLIAGE CRUISE! Meet up in the morning at a local coffee/breakfast place and then take a wonderful COLORFUL cruise through the twisty road of our glorious Finger Lakes Region. Stops along the way for antiquing, wineries and more. We’ll end up at a surprise destination for a late lunch that will be sure to please all! Watch here on Facebook and in your email next week for complete details and departure information.